Nicholas is a 200-hour Yoga Alliance registered Yoga teacher. He is passionate about the importance of physical and mental health, and believes Yoga is a powerful practice that worksout and unites the mind, body, and spirit for overall wellness in daily life. 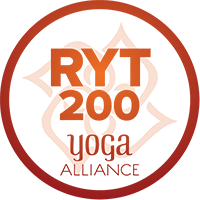 His Vinyasa classes are built to strengthen, balance and detoxify the mind and body through an invigorating flow focused on strengthening the union between breath and movement, safe-alignment, and mindfulness. Nicholas' intention is to create a safe and inclusive space, for people of all identities, to practice self-love, gratitude and mindful movements. By teaching Yoga, he hopes to encourage diversity in the Yoga community and create an inclusive experience for all.